Dips are the magic bullets that can change boring snacks into super snacks. When you make a good dip you will just watch everybody wolf it down and ask for more. They will even beg you for the recipe! This dip dipbook has 12 exciting dips recipes that will make your mouth water in anticipation. Each dip recipe has a variation of fun facts to get the conversation started at your party. These dip recipes encourage you to go on and experiment and put your own character into the dips that you make. The book starts off with dips that are mostly paired with chips, then crackers, and ďŹ nally bread. 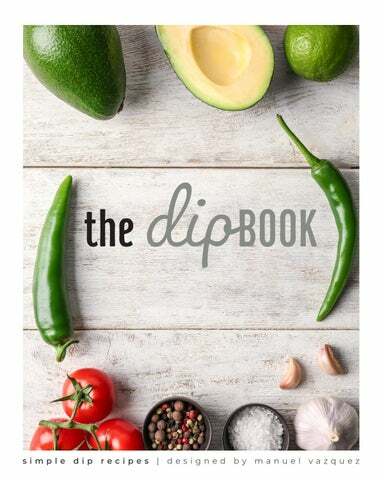 Now is the time to get this recipe book and start making dips for the next party you go to. Make some good interesting dips and be the center of your party world!